Naples now provides and exciting new way to build hours! – Do you have only one week available? 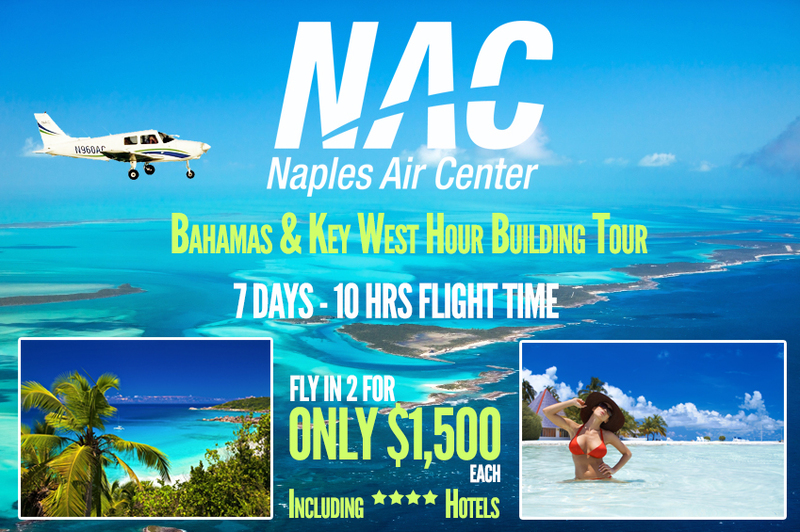 – Do you want to combine the excitement of flight to an amazing vacation at the Bahamas? – What about bringing your wife or a friend along for an unforgettable trip? NOTE: If you don’t feel confident enough we can provide an instructor to accompany you! IF YOU TRAVEL IN 2, THIS AMAZING TRIP ONLY COSTS APPROX $1,500 (1.000 EUROS) EACH! Below is an approximate breakdown of costs, using Naples best price aircraft. Hour builders are responsible for booking their own hotels, although the prices below are a good approximation.